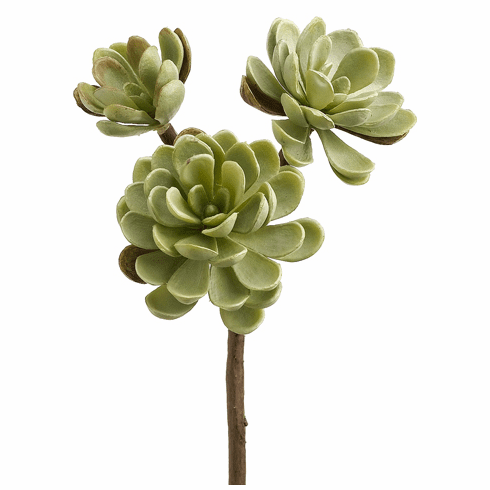 This hen and chicks succulent is so realistic looking you'll want to water them. Each one is 10 inches in height and has 3 blooms coming off its realistic looking stem. Rich Burgundy color will add a touch of color to an otherwise green arrangement or cactus garden.